Sheet vinyl flooring installation has become a viable temporary alternative for homeowners that plan to remodel their bathroom with another floor covering in the future or for those that just want a reliable relatively cheap bathroom floor covering. This is usually because sheet vinyl flooring installation is perfect for places that have high traffic and it also has a series of advantages over other traditional bath flooring methods such as speed of installation. If you are handy, you can install sheet vinyl flooring in your washroom as an easy way to update the look of your bath in an afternoon. 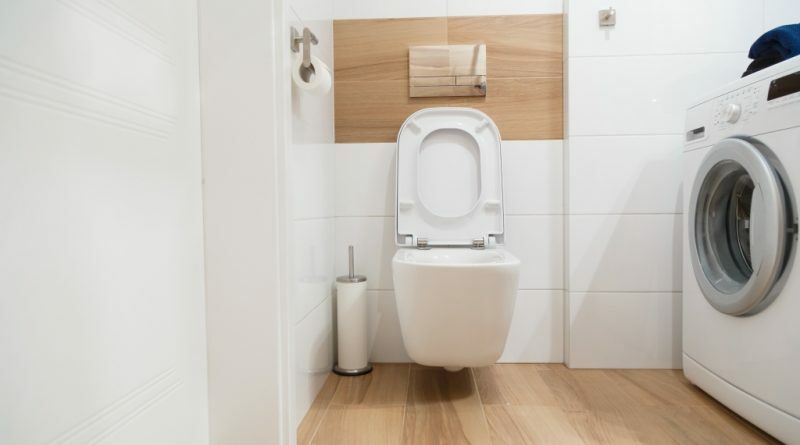 If you have been playing with the idea of laying out sheet vinyl flooring in your lavatory, then the following information will provide the necessary facts you need to make the right decision about the pros of sheet vinyl flooring installation. We will not cover the steps involved, but the general details that will assist you in making an informed decision about this type of surfacing material. Despite the preparation of your floor surface and the careful planning and cutting that is involved, another reason that sheet vinyl flooring installation is popular, is that it is a lot quicker than laying out ceramic tiles in your bathing space. Needless to say, the time involved will depend on the general size of your lavatory and also the layout as well because you will have to cut the sheet vinyl sheet to fit the shape of your bath. The pros of vinyl flooring is the speed that it can be installed. Ceramic tiles usually take longer to lay out on a floor especially if the area in question is large, has a multifaceted layout and requires numerous cuts to take into consideration when cutting tile, not to mention the time in between installation steps for both the thinset and grout lines to cure. Sheet vinyl flooring is an inexpensive option to use in your bathroom, and it does not take professional skills or expensive tools to get the job done. It is a lot cheaper than using ceramic tiles on your floor or expensive natural stone tiles that may require constant maintenance. If you choose to go with vinyl, you can still get a stylish bath and use the money saved to invest in elegant fixtures or faucets. When you install vinyl flooring, you do not have to worry about getting special chemicals or going through an arduous cleaning process on a day-to-day basis. You will not have to worry about cleaning grout as with ceramic tile or stone installation and will simply need a broom or mop to clean it. You will also not have to worry about mildew, loose tiles and, chipping caulk or anything else associated with ceramic or marble tile care, not to mention not have to reseal your flooring surface on a regular basis. One of the issues that you may need to take into consideration when you are doing your installation is the quality of the vinyl sheets that you are using. A high quality sheet will not wear and tear easily due to high traffic; whereas, a low grade one will last less than 10 years in some cases. 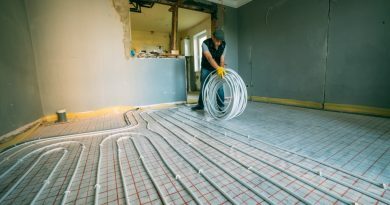 This can complicate your renovation plans if you need to change the flooring and have been using felt-backed vinyl instead of vinyl-backed sheets on your floor. The changes in technology and the need to have creative improvement options have opened the door to stylish and resilient vinyl flooring. When you consider sheet vinyl flooring installation, you will be able to choose from an extensive repertoire of patterns, colors and designs to make you washroom flooring meet your specifications. Vinyl sheets are durable and impervious to moisture so once installed you will not need to worry about sealing as with other surfacing materials. Vinyl installation is common in bathrooms due to the high traffic and also to the presence of water in certain areas. You will also not have to worry about water stains given the impermeable nature of the covering material. Once you have glued the vinyl sheet down during your project and taken the necessary steps to cut sheets away from areas with water, then all your worries about water penetration are unnecessary. Despite the positives that we have highlighted above, there are some drawbacks about the material that should also be taken into consideration. 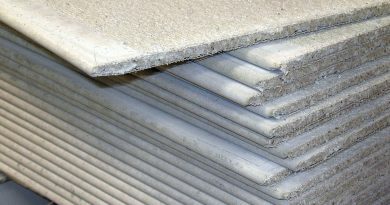 One such negative is the fact the vinyl flooring is not considered a “going-green” product due to the many harmful by products that are released in the atmosphere when it is produced. 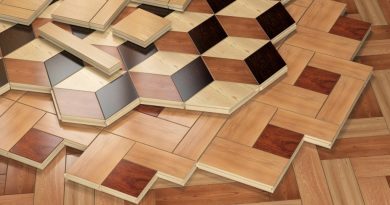 This can have a negative effect on the resale value of your house if this material has been your primary flooring option. Another problem with cheap brands is that it can be gouged or cut with sharp objects such as high heels or pump shoes. If the vinyl sheet is severely damaged, you will have no recourse but to replace the whole sheet, if on the other hand, it is just a surface scratch a bead of clear epoxy glue will ensure that no moisture will penetrate the surface. All in all vinyl sheet flooring installation is a quick and easy way to freshen up your bathroom when remodelling, especially if you are on a budget, just be sure to get a high quality grade if you plan on keeping your bath flooring for a long period of time.